کریمی مشاور, مهرداد. (1390). مطلوبیت منظر شهری؛ نظارت سازمانی بر زیرساخت‌های منظر شهری، بررسی نمونه : لندن. مجله علمی-ترویجی منظر, 3(16), 78-83. مهرداد کریمی مشاور. "مطلوبیت منظر شهری؛ نظارت سازمانی بر زیرساخت‌های منظر شهری، بررسی نمونه : لندن". 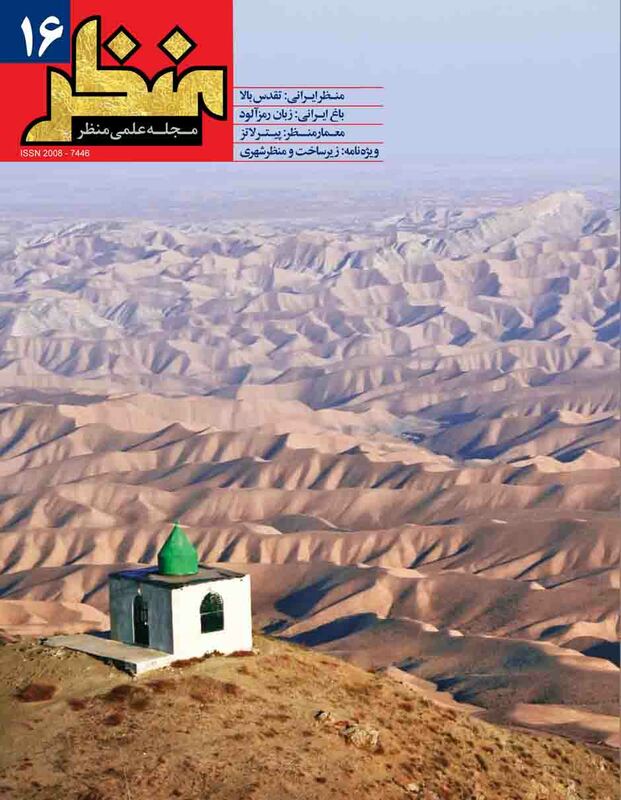 مجله علمی-ترویجی منظر, 3, 16, 1390, 78-83. کریمی مشاور, مهرداد. (1390). 'مطلوبیت منظر شهری؛ نظارت سازمانی بر زیرساخت‌های منظر شهری، بررسی نمونه : لندن', مجله علمی-ترویجی منظر, 3(16), pp. 78-83. کریمی مشاور, مهرداد. مطلوبیت منظر شهری؛ نظارت سازمانی بر زیرساخت‌های منظر شهری، بررسی نمونه : لندن. مجله علمی-ترویجی منظر, 1390; 3(16): 78-83. آنچه از یک شهر به چشم می‌آید و در ذهن می‌ماند، منظر شهری آن است، از این رو در بسیاری از کلان‌شهرهای دنیا برای ارتقای کیفیت کالبدی و معنایی منظر شهری رقابت ویژه‌ای وجود دارد، تا به این طریق بتوانند جایگاه خود را در سطح جهانی تثبیت کرده یا ارتقا دهند. از مهم‌ترین زیرساخت‌های لازم جهت دست‌یابی به منظر شهری باکیفیت می‌توان به ایجاد سازمانی اشاره کرد که بتواند مدیریت و نظارتی جامع در کنترل و رشد سه بعدی شهر داشته باشد. وجود سازمانی قوی که عوامل اصلی تأثیرگذار در منظر شهری از جمله کیفیت معماری، دیدهای شهری، جایگاه ساختمان‌های بلند در شهر، ارتفاع شهر، نسبت فضاهای سبز و آبی به کل شهر، خوانایی شهر، معنا و هویت شهر و ... را کنترل نماید، اولین گام در دست‌یابی به منظر شهری با کیفیت است. In urban language of the city, the cityscape is referred to the combination of city elements which are placed together to create a vision for the city that introduces the city utterly. As a result the influential and essential infrastructures of each city are to be controlled for further profitability of the cityscape. Focusing on the decisions that leads to the development and shaping of a city is the foundation of achieving a high quality cityscape. Hence, accentuating the cityscape infrastructure will eventually lead to cityscape profitability. Differences exist in the infrastructures of every city which are mainly caused by the characteristics, goals and visions and multiple views of every cityscape. Despite the differences in infrastructures in various cities, the fixed term in the field of architecture and urbanism is that the main infrastructures include the cases which are “ seen ” and “ viewed ” more. These cases include multiple natural and built elements that should be under supervision of an organization that can coordinate the influential elements on city forms. In addition to that, physical situation (of the sight) and mental situation (of the vision) should be considered in the coordination of new city elements. Furthermore, since achieving a profitable landscape could be provided through coordination of different city elements, a powerful organization is needed for controlling the city development, design and construction and the three dimensional growth as well as cityscape infrastructures generally.